Donald Trump’s 2019 budget proposal projected that the federal prison system will receive nearly 1,000 fewer employees in 2019 than the year prior, a move that will endanger the lives of both workers and prisoners, according to Eric Young, president of the American Federation of Government Employees’ Council of Prison Locals. “Right now the [Bureau of Prisons] has proposed the elimination of 6,000 unfilled positions, and today we’re going to hear about, with the roll out of the FY19 plan, the elimination of another 1,000 positions and the closure and reorganization of some prisons,” said Young. The Office of Personnel Management policy, not released to the public, requires divorced retirees receiving annuity supplements to pay the government back for portions of past annuity payments. According to the 2019 budget proposal, the federal prisons system had, on average, 38,513 civilian, full-time employees in 2017. That number is projected to be 36,775 in 2018 and 35,786 in 2019. Young said that the 2019 worker numbers, which are very similar to those of 2011, create a ratio of prisoners to workers that has proven unsafe. According to prisoner projections included in the 2019 budget, that ratio would be approximately one worker for every five prisoners. “He’s still planning on cutting positions and that just doesn’t make sense. You have the director of the Bureau of Prisons testifying on Capitol Hill, stating that four to one [ratio] is dangerous, and now they’re trying to make us go back to 2011 staffing levels,” said Young. 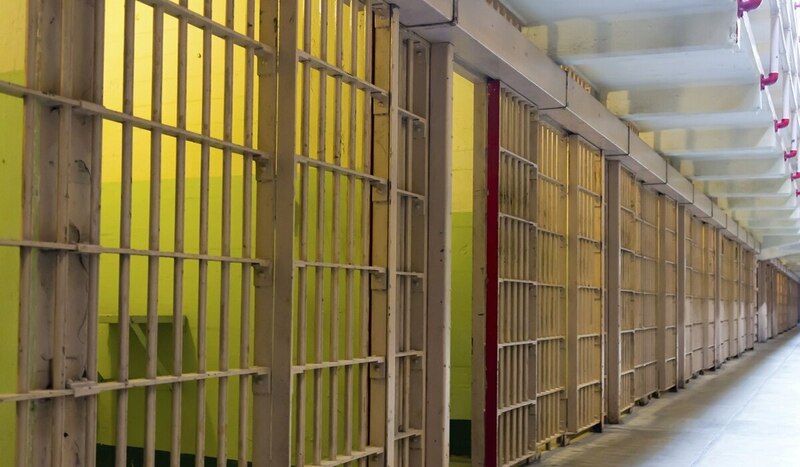 Federal prison populations are expected to increase under the Trump administration, as Attorney General Jeff Sessions has particularly focused on seeking the maximum sentencing for drug-related charges. The 2019 budget proposal projects that the federal prison population will include nearly 10,000 more inmates than it does today, according to Bureau of Prisons statistics. According to Young, prisoner-to-worker ratios are often misleading, as they include teachers, case managers and supervisors, whose job descriptions are not meant to include serving as correctional staff within the prisons. In addition, Young said that non-correctional staff are sometimes asked to fill in, when full-time corrections officers can’t make it into work, creating unsafe situations where secretaries and teachers are serving in positions that oversee large numbers of inmates. “You have one officer, currently, supervising hundreds of inmates by themselves,” said Young, adding that these numbers are often responsible for inmates getting access to contraband and serious injuries caused by inmate attacks. Lower staff numbers also increase the length of time it takes for backup officers to respond to an incident on the prison floors. According to Young, who is himself a service-connected veteran, many employees in federal prisons are veterans, meaning that reductions in staff and benefits are also attacks on the nation’s veterans.